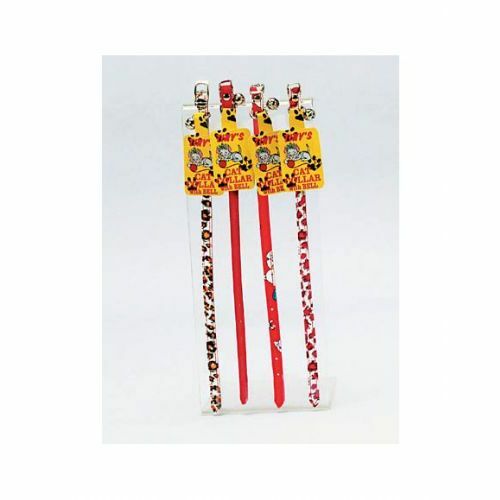 Great for all kinds of cats, this plastic patterned Cat Collar With Bell features multiple colors and patterns with a brightly colored bell. Total length is approximately 12 1/2. Comes packaged with a hang tag.